Pogon is a new coffee bar concept, an artisan coffee shop promoting the ultimate coffee culture. 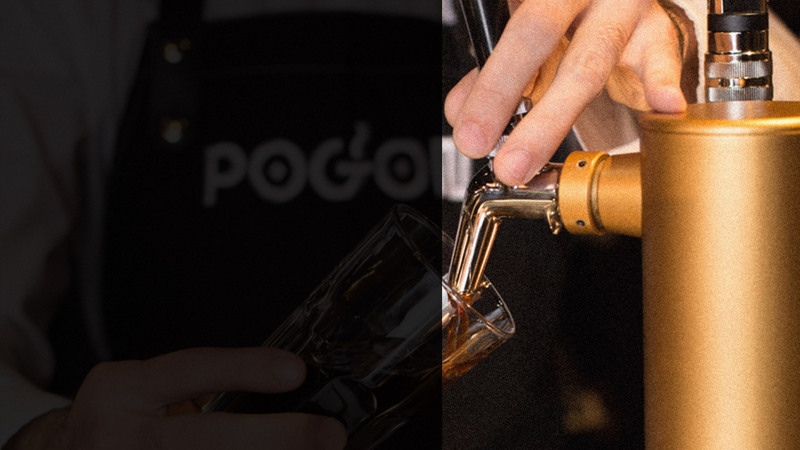 Each Pogon outlet is designed precisely to put customers through a unique coffee experience while preserving authentic roots of the coffee trade atmosphere. At each outlet, customers are able to choose, taste and enjoy different single origin superior coffee. Pogon thrives to deliver a product driven by the guest's mood or desire of the moment without consideration to cost. To achieve this fulfilling experience, identical type of coffee brews are offered at equal competitive price regardless of the origin of the coffee. The commitment of a Pogon outlet is to provide the specified customer experience in a well-defined and new concept design with strong visual identity. This new design integrates factory like hip interior with quality furniture manufacture and tailored specifically for Pogon. To reinforce this factory like environment, pogon roasts, grinds and brews only high quality single origin coffee beans at each outlet at the sight of the customers. Pogon’s unique atmosphere is the product of Nenad Kosanin a young and accomplished Serbian architect based in Belgrade. Pogon offers a Cultural hub with a capital "C", regularly hosting young artists of different disciplines and cultures. Reinforcing this notion, all metal works in the venue are executed by Viktor Kish, a renowned Serbian urban metal artist and art contributor to the Burning Man Festival in the Black Rock Desert of Nevada.